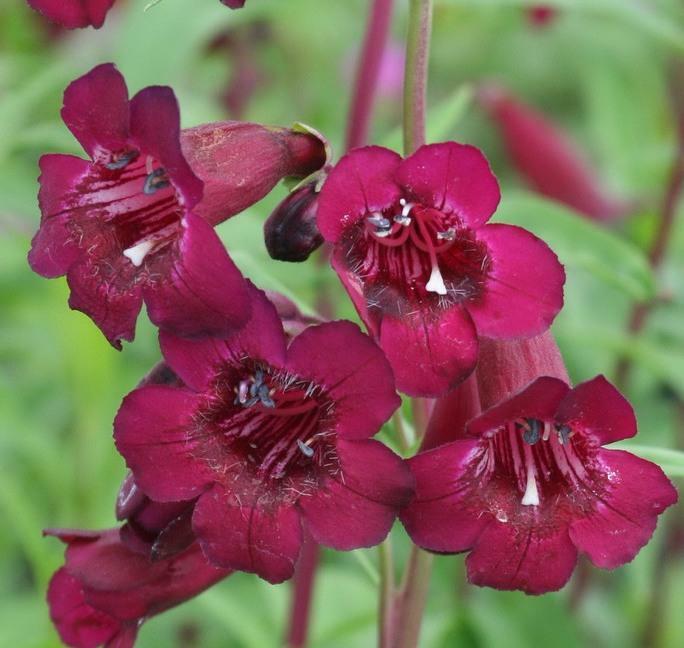 Penstemon ‘Rich Ruby’ is a fully hardy, perennial, semi-evergreen plant with deep red flowers in mid summer, early autumn and late summer. It grows well in direct sun, and prefers medium levels of water. The flowers are tube shaped. This is an erect plant and has a clump forming growth habit, and has an ultimate height of 90cm and spread of 50cm. It can take 2-3 years to reach its ultimate height. Penstemons are one of the most valuable late summer-flowering perennials and, in all but the coldest regions, are easy and reliable. They will produce these lovely flowers from mid-summer right through to the first frosts of November if you regularly remove spent flower spikes as they start to fade. The more often you cut, the more flowers they will produce.